An improvised book club meet up at Comedy Bar on the third Sunday of every month! Book Club’s premise is simple: through a combination of conversation and scenework, our improvisers will explore a different Canadian novel on the Comedy Bar Cabaret stage on the third Sunday of every month. Book Club is an intimate and thoughtful comedy show that brings the audience and performers together: the audience will be involved in selecting what gets read, and each show’s unofficial “epilogue” will be post-show discussions at the bar! Book Club takes all of the best elements of classic readers’ soirees - spirited discussion, strong opinion, the very real possibility of drinking a little too much wine - and combines them with the levity and liveliness of an unscripted comedy show featuring some of Toronto’s sharpest wits. It’s the perfect night out for anyone who’s ever wanted a nudge to finally crack open that hot/essential/controversial/quintessential volume they’ve been meaning to read but just haven’t gotten around to… and if you don’t quite get through each month’s selection, you never have to worry about being put on the spot. Just like a good book, our performers have you covered. This month's Book Club choice is Rawi Hage's Cockroach! Devon Hyland (Comedy on Tape). 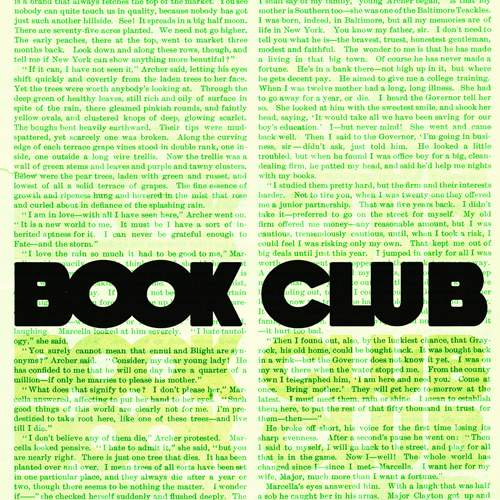 Don’t wait for the movie, come to Book Club instead. For future Book Club announcements, please follow Bad Dog on Facebook and Twitter!